You knew Stevie Ward had to be good as soon as you heard his name. Not Steven, not Steve, not even Ste. Stevie. You have to be able to walk the walk if you’re going to be called Stevie. I played against Stevie Ward in my early teens for Oulton Raiders against Churwell Chiefs. There’s no reason to know your opponent’s name at such a young age, but we knew Stevie Ward’s name. Everyone knew it. 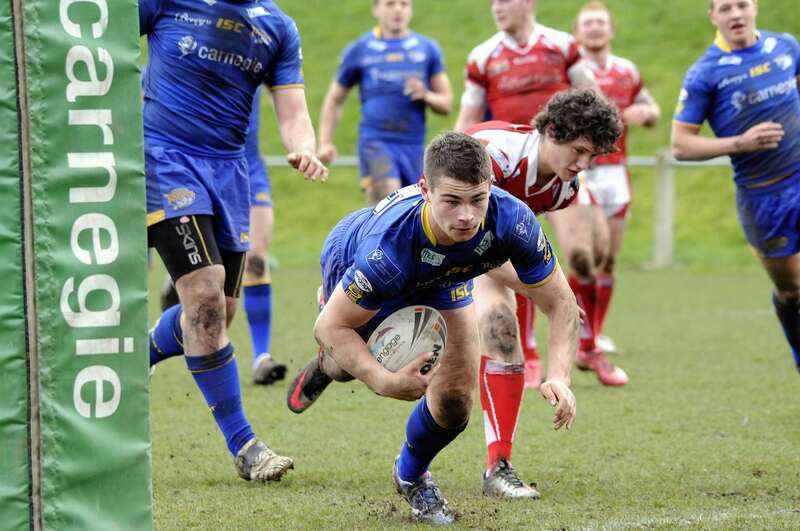 And everyone knew that Stevie Ward was going to play for the Leeds Rhinos. While Ward was comfortable dealing with the expectations of the entire rugby league community in Leeds, he still had to live up to the standards he was placing upon himself. As a ‘regular’ person living outside the cutthroat nature of elite sport, it’s difficult to understand the mindset required of professional athletes to not just make it to that level, but remain there. Ward himself struggles to understand where the competitive edge which has been part of his psyche since such a young ages comes from. “It’s maybe a combination of nature vs nurture. That’s the whole problem, it can’t really be pinned down. “My grandad was a boxer in the army but I never met him. There must be a side of it to come from there. My parents come from a working class background. My dad worked in a print factory doing 12-hour night shifts when I was growing up and my mum worked in a job centre, handling all the trouble and the peaks and troughs of working in there. “You know those training sessions when it’s a Tuesday night in December and there’s a 20ft square of mud you’ve got to train on? I’d toss it up to my dad that I didn’t want to go and my dad would just ask me the question whether I wanted to do it. I’d have to come back with a bit of resilience to go and be there at that training session even if I didn’t want to do it. It was a memorable debut, to say the least, but not necessarily for the right reasons. 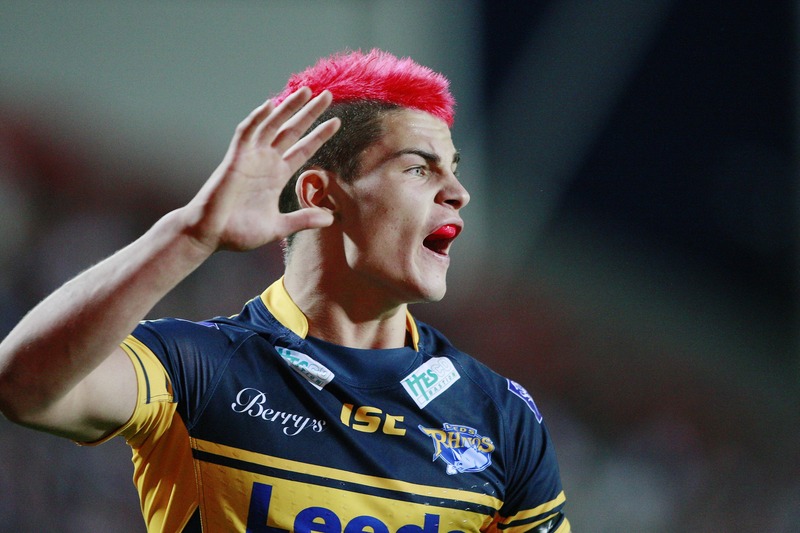 Ahead of a trip to St Helens in 2012, the entire Leeds squad dyed their hair red in support of Sport Relief, but the players were left with red faces as a Saints side trying to avoid their worst run of results for almost 30 years thrashed the visitors 46-6. “It was bizarre. I remember having a red mohican and seeing everyone else with red hair. Obviously we got hammered. I came on for the last 30 minutes at stand-off and the game had already gone then so I just got thrown on to see what I could do. Come the end of his maiden campaign as a first-team player, he’d started in the Challenge Cup final at Wembley as Leeds were beaten by Warrington and came off the bench as the Rhinos exacted revenge against the same opponents in the Grand Final at Old Trafford, leaving the field towards the end of the match with a dislocated shoulder. We’re chatting over cups of Yorkshire Tea in Ward’s house only a stone’s throw away from Headingley Stadium. He speaks quietly and considered, often pausing to take a deep breath while he searches for the right word or phrase to express himself. 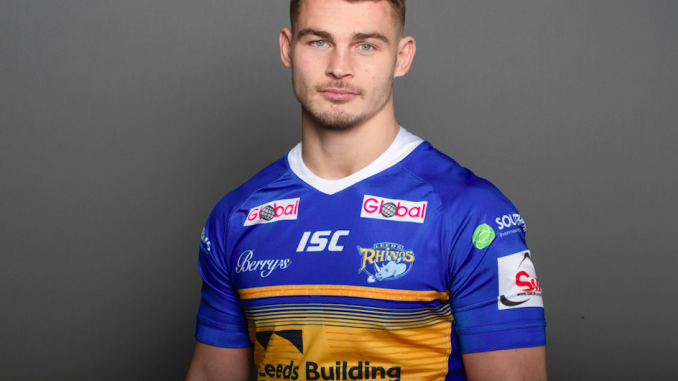 We’re the same age, 25, and over the course of the interview it’s impossible not to be painfully aware of the fact he’s sat at his dining table with three Super League titles, two Challenge Cups and a League Leaders’ Shield to his name, having made over 100 appearances for Leeds and also captained the club. I, on the other hand, am sat there with a cup of Yorkshire Tea. Yet Ward’s career, and life, has been anything but straightforward since his remarkable rise. He’s hobbling around his house with a bulky brace wrapped around his knee as he recovers from yet another injury, a reminder of a theme which has blighted him ever since that first Grand Final success seven years ago. Given his myriad of injuries, there’s a cruel irony that one of the words which spring to mind while watching him on the field is ‘robust’. Propelled by that drive which took him from the muddy fields of Churwell to Leeds’ first-team, he throws himself into every collision as if he’s trying to shake the Empire State Building, while he also possesses the intelligence to run dangerous lines in attack and the skill to pick a cunning pass with the ball in hand. The stories of his injuries towards the end of the 2015 and 2017 seasons are now well known, but for very different reasons. The latter was an inspiring feel-good story, as the back-rower defied all logic only a week after dislocating his shoulder to play the full 80 minutes as Leeds upset Castleford Tigers in the Grand Final, having considered quitting the game days earlier when it appeared he was going to miss the showpiece event. Ward’s heroism will go down in Leeds folklore, but what made the achievement all the more remarkable was the fact it wasn’t even the first time he had pulled such a stunt. He had suffered a similar injury when he was just 11, popping the AC joint in his shoulder, but played three weeks later as he couldn’t bear the thought of missing Churwell’s game against Featherstone Lions. To ensure he got through the game he put bubble wrap under his shoulder pads, which he could hear pop as he threw himself into tackles against his peers. “That’s what I thought about in the week before the Grand Final, when I was sat there with my arm in a sling. It just set a light in my mind or an all-or-nothing confidence to say if I’ve done it before then there’s something in me to be able to do it again. 2015 was an entirely different story. It was meant to be the year of Ward’s redemption. In 2014 he had suffered from depression, feeling like he’d lost his identity as a rugby league player as he found himself unable to perform to the standards he had always set himself. For a period of time he took a course of antidepressants, but his medication the following year was lifting weights, bulking up in the gym and rediscovering his best form as he became a key member of the Leeds side aiming to complete a historic treble. With the Challenge Cup won, Ward travelled to Huddersfield for the final match of the season with the Rhinos needing a victory to secure the League Leaders’ Shield. After months of seeing his grandma suffer with cancer, he had attended her funeral on the morning of the game and arrived at the stadium bereft of energy, wondering how he could possibly play in such a high-stakes game. Instead, he produced the performance of his life, scoring the opening try and leading by example as Leeds tried to mount a late comeback. Then, with minutes remaining, his knee collapsed beneath him. He was in the changing rooms when Ryan Hall scored that iconic winner with the last play of the game, trying to come to terms with the fact he would be missing the Grand Final and facing a long and arduous road to recovery. Unlike 2014, however, Ward had the perspective to put the time while he underwent his rehab to good use. Mantality was launched, a website and podcast focussing on the mental health of millenials and incorporates the topics of sport, travel and lifestyle. Yet he’s only recently understood with hindsight the inception of the idea. “I don’t know if this makes any sense to you, but I went to my nana’s funeral on that day. She did a fine art degree at 60, my nana. I remember at her wake in her small flat in Salford, we were looking at all her artwork. “On that day, on that moment, I remember looking at my knee later that night thinking ‘How the f*ck…this is not how it’s meant to go.’ I thought I was going to score a try, which I did, and win the League Leaders’ Shield. But I was sat there four minutes from the end with my knee like that. “I only connected the dots a few months ago looking back. I looked at the art work again and saw all those quotes and saw the passion in her artwork and really realised it. I was like, ‘Wow, that’s nuts!’ So I’m sat here now and I’d like to think I’m not vegetating, I’m cultivating. “It was obviously what I needed to do. I don’t think I consciously knew it looking at my knee but a few months down the line I knew I had to do something with my time and that goes back to living out those values. When I was 19, I didn’t really understand my values or appreciate the importance of living to them, but through the spell of injury through 2016 I started to take a lot more of a focus on this and this helps me today. I can’t stress enough the importance to become conscious of your own mental health. Those values include an insatiable appetite for learning, which is why after we speak he has his weekly two-and-half-hour Spanish lesson and has also enrolled on a psychology degree online. Another is to make connections with people, whether that be through offering words of advice to a younger team-mate or wanting to start mentoring at his former high school to provide guidance to those who are less fortunate than he was growing up. Towards the end of the interview, Ward explains something else he touches upon in difficult moments. It’s the story of the Chinese Farmer, a parable popularised by the philosopher Alan Watts. The farmer, however, remained calm. “Maybe,” he replied. The farmer was again unmoved. “Maybe,” he replied. The farmer was still resolute. “Maybe,” he replied. With that, Stevie Ward finishes his cup of tea and offers himself a wry smile.